Ce savon est de loin mon préféré , il sent bon , il est efficace et laisse la vaiselle brillante . Je l'utilise a tout les sauces : pour la grosse vaiselle , la vaiselle quotidienne et meme pour les biberons de mon bébé , tres efficaces pour enlevé l'odeur de son lait. 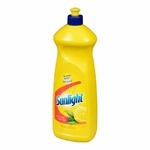 I love using dis dish liquid! 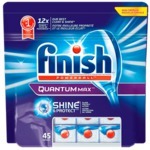 Makes my dishes smell great and look squicky clean and shine bright! Definitely worth the buy!! It also removes alot of grease. 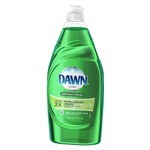 I have purchased a lot of different dish soap brands over the years and keep coming back to Dawn. Great bubbles, good price, great scent. Removes grease. I purchased this dishwashing liquid more for the perfume rather than for the cleaning efficiency,but am glad to note that it excels in both areas. While washing dishes, it fills the vicinity with a wonderful, soothing scent. The dishes come out very clean too. I am absolutely in love with all of the dawn soaps! I have never had any issue with any of them! They get the job done the first time! Dawn is also great in stains! I've been buying this product for a month now, it's the Best dish soap I've ever used! It cleans my dishes with a Great Lavender scent and makes my hands very soft! I Recommend this product to everyone!! The product cleaned as Dawn is great at doing, but I found the lavender scent too strong. It was very floral and impactful. The smell stayed on my hands for longer than I had liked and needed to be washed off with another scented soap. I’m a lifelong Dawn devotee, but their new pure essentials line is less than stellar. 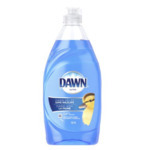 I was excited to try a Dawn product with some natural scent, but this one smells nothing like lavender. It smells like cheap men’s cologne and is headache-inducing, not calm-inducing. Same great Dawn product though!